Gerry and his wife Jenny have been involved with flyball for about 10 years. His dog "Ralph" got him into the sport and he has never looked back. Gerry helps with weekly practices and attends about 2-3 tournaments a year. Much of his time and energy goes into flyball. Sara and her husband Jessie joined the team with their border collie Bo. They have since acquired another dog "Piper". She also has shown a love for the sport. Sara enjoys attending practices and tournaments when she is not being a police woman. Terie got into the sport with her Aussie "Si". She and Si are intrigual to the team. It is great to see how passionate they both are. She has three dogs and is now starting to train her Australian Cattle dog Suz. 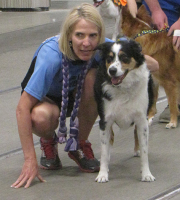 When she is not running flyball, Terie enjoys spending time with her husband, kids and horses. Brooke joined our team along with her husband James and their two dogs. "Ardan" a red border collie mix picked up flyball very fast and is a great help in training other dogs. 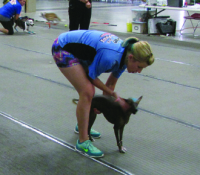 She is a dedicated member and also enjoys doing agility with both dogs. 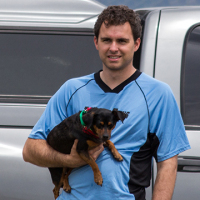 David has been a member of our flyball team for about 3 years. His dogs "Ellie" and "Roxie" make great height dogs. David and is wife Casie love the sport and are valuable assets to the team and its growth. Arielle is a dedicated team member, juggling two flyball dogs, a husband and her young son Caleb. She enjoys running her Chinese Crested "Stitch" and mixed breed "Jezebel." Arielle also as a passion for horses, pigs and dog grooming. 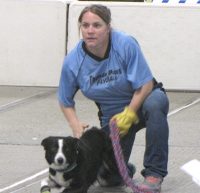 Jenny has been doing flyball for about 10 years. She joined the team because her dog "Ralph" needed a job. "It was his favorite thing to do in life". He has since past on but Jenny continues doing flyball with her other four dogs. She has been our president for about 4 years. 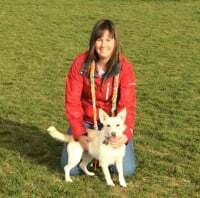 She loves training dogs and works as a Veterinary Technician when she is not doing flyball. 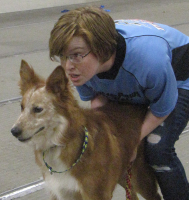 Casie has been a member of our flyball team for about 3 years. Her dog "Ellie" showed her how fun the sport could be. 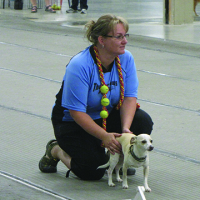 Now she and her husband and both her dogs are heavily involved in the sport. She has become a valuable asset to the team and its growth.